If your wood furniture has any legs, headboards, or footboards, you should remove them before putting the pieces into the storage unit. Put the extra pieces like screws or drawer handles into labeled plastic bags so you can easily find them when you are ready to put the furniture back together. 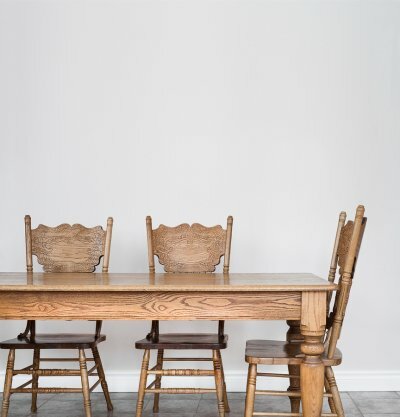 You should also clean and wax all of your wood to give it an extra barrier of protection against drying out. Put the furniture far away from the door of the storage unit just in case it rains. You should also wrap all of your wood furniture in plastic or shrink wrap. The wrap protects the furniture from dust, rodents, and bugs like termites. It also gives you an extra barrier of protection between the air in the room and the furniture to prevent it from drying out and warping. Covering the furniture reduces the risk for scratching it as you move it into the storage unit. If you want to keep your furniture safe, you should also spend some time arranging it the right way in your storage unit. Try to leave a clear path where you can safely walk to get all of the items in your unit. Do not store anything heavy on top of your wood furniture. Mini storage gives you a safe and spacious place in which to store belongings until you can find room for them on your own property. Whether you are planning a move or you have downsized to a smaller home, these storage units make it easy to keep track of your belongings. Mini storage facilities give you affordable storage options that you can use to clear up space. If clutter is starting to overtake your life, mini storage provides a safe and effective way to get these items out of the way without the need to completely throw them out. When it comes to packing, every box is not created equally. You should put heavier items like books into smaller boxes so they are easy to carry. Put light items like pillows or clothing into larger boxes. When you use the right size boxes for your belongings, it makes it much easier to move your cartons around in the storage unit. When you put the boxes into storage, do not place heavy items on top of lighter boxes. It will be easier to keep your storage unit organized if you place similar items into the same box. If you are storing items from a few different rooms, for example, place the kitchen items into one box and the bedroom items into a different box. You should always create a master list for your boxes so you know exactly where everything is. Label each box with a number or a letter and create a list that describes everything that is packed into a specific box. Whether you have five boxes or fifty, this system makes it easy to keep your storage unit organized so it can be as efficient as possible. Write “fragile” on any boxes that have breakables so anyone who moves them knows to be careful. 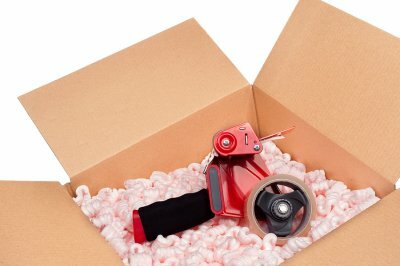 Packing materials help you pack your boxes more efficiently. You can use packing paper or bubble wrap to protect fragile items. You can also use these materials to fill in any extra spaces in the boxes so your items do not shift around inside. Packing tape helps you secure the cartons so the boxes do not open when you move them. If you are planning to put clothing in your self-storage unit in Capitola , it is important to pack it properly. Stock up on wardrobe boxes and suitcase that will keep your clothing clean and protected while it is in the storage unit. Gather together clothes on hangers and use twist-ties to secure them together. Cover the bunch with an oversized garbage bag and hang it in your wardrobe box. You can place shoes and other accessories in a sturdy bag that you place at the bottom of the wardrobe box. Put folded clothes into luggage and use dryer sheets to keep them smelling fresh. Get more great packing tips in this video.